Last Days to Order DVDs, Magnets, Puzzles! Heads up! 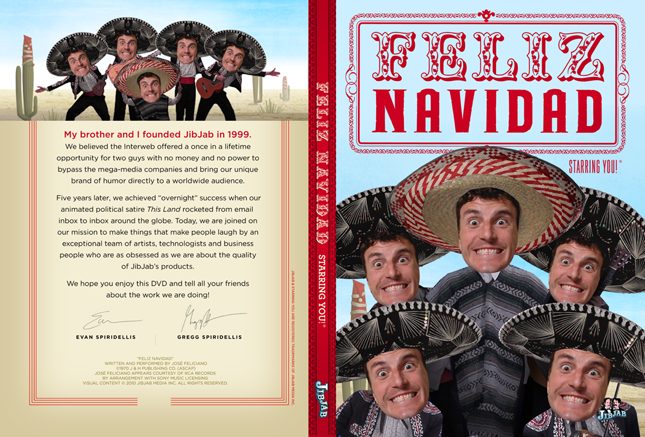 If you’re thinking about getting JibJab Christmas presents, the absolute latest you can order our gifts is this weekend! Standard shipping options are close now, but there is still time for expedited shipping options. You’ll have to order for most hard good items before 8pm Pacific Time so we have the ability to personalize it and ship it your way. Some items may have until tomorrow (Sunday) night. Make sure to check the cut off times when you are checking out. View our hardgood gift store here. 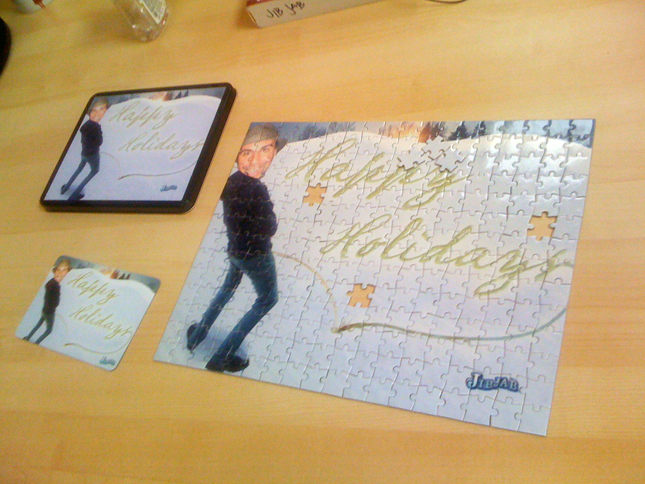 We put a lot of love into our store this year, adding new items like Magnets and Puzzles, testing them out in the office and feeling sort of like Tom Hanks in BIG. Toy testing is serious business! In addition to our photo-based gifts, our video-based gift deadlines are nearing as well. You can order up until a few days before Christmas, but we recommend getting them in early just in case. DVD cut off times are as follows: for 2-Day Express shipping, order by 12/21, 8pm PT. For Overnight Express, order before 12/22, 8pm PT. DVDs are available after creating most Starring You videos on this page. We took great care designing our DVD cases with art that fits each video, putting you and your friends on the cover! If you order one to give for Christmas, make sure to let us know! We’ll post any reaction videos right here on the blog. This entry was written by paulhanges and posted on December 18, 2010 at 4:23 am and filed under Store. Bookmark the permalink. Follow any comments here with the RSS feed for this post. Trackbacks are closed, but you can post a comment. I love your Jib Jabs,, you are all doing a great job!! Thanks for sooooooooooo much fun! !